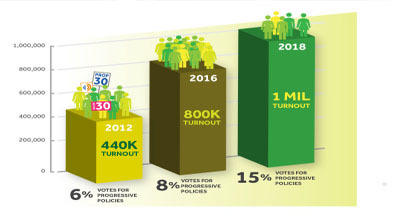 The Million Voters Project, an alliance of 6 powerful state-based networks, is gearing up for their first step in strategically transforming the electorate by contacting over 1 million voters and mobilizing over 700,000 of them to the polls in the November 2016 General Election. As a California Calls anchor, COPE is supporting “We Are California” – a campaign calling on the California majority to use their power to create laws that work for ALL Californians, not just big corporations or the richest 1%. “We Are California” will work through California Calls’ member organizations across the state, tapping into their local, grassroots base of supporters. Supporters are asked to pledge to vote in every election. 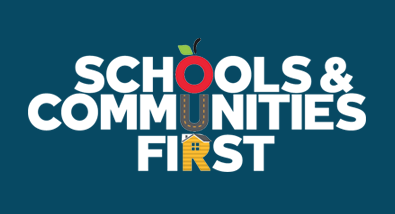 The California Schools and Local Communities Funding Act is a proposed constitutional amendment that would update and improve Proposition 13, the 1978 tax law that fundamentally crippled local governments. A contributing factor to Prop. 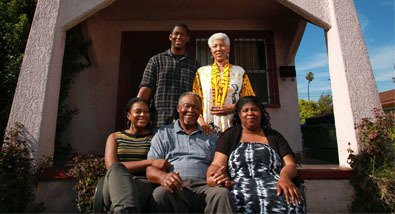 13’s passage was the sentiment that older Californians should not be priced out of their homes through high property taxes. However, the proposition’s underreported giveaways to big business and corporations have exacerbated inequity and inefficiency in the state’s tax structure. COPE is a regional anchor organization with California Calls is a statewide alliance of 31 organizations organized in 12 counties. Our long-term goal is developing a progressive alliance of grassroots social justice organizations and unions representing key issues and strategic geographic regions of California, with agreement on a public policy agenda, and the collective power to win systemic reform. For more information, visit http://www.cacalls.org/. Are you trying to save money and energy? Are you struggling to pay your electric, gas or phone bills? Need help preventing a utility shutoff? Getting calls from gas companies saying they can save you money? Need to know your consumer rights? If you answered yes to any of these questions our fact sheets can give you the information you need! To get involved, please contact Rev. Benjamin Briggs, Senior Organizer and Director of Civic Engagement at bbriggs@copesite.org.